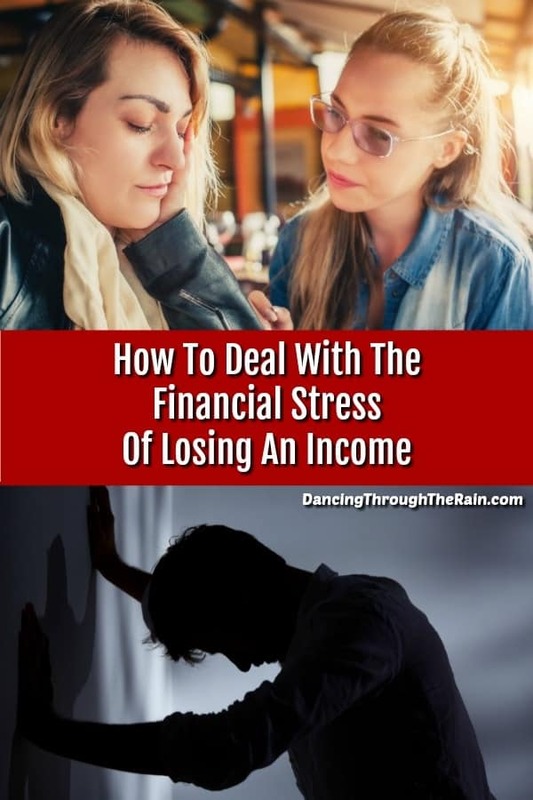 Losing an income can be extremely stressful. Whether it was planned or unplanned, there are drastic changes that suddenly feel like they have to take place. How will you pay the rent or utilities? How will you eat and support your children? There are many reasons why families go from having multiple incomes to just having one income. 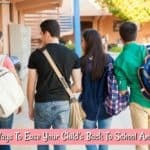 And while they can be incredibly stressful – regardless of whether you have chosen the situation or not – there are many things that you can do to help deal with this transition. Here are some great tips to consider when your family is dealing with a loss of income. The first thing that you need to do is talk about what happened and where you are at emotionally. If losing your job was not a decision that you made, but one that was presented by your employer, do your best to express yourself. Cry, be angry, go for a run, write in your journal – whatever you can do to get the fear and frustration out of your body. The longer you hold things inside, the more they fester. And when you have to be the one to pick everybody up in your household, you can’t leave yourself down on the ground. Find a way to help yourself feel your feelings. If they don’t come out, they are going to stay in – and that will hurt you more than it will help. Whether you are married, partnered or doing this alone, you need someone to talk to. Turn to a friend, family member, group at church or temple, therapist or someone else that you trust to lean on. You can’t take care of your own mental state alone. If you do have a partner, be sure that you are communicating, but also recognize that they are going through this situation too. Try to be understanding of each other in the face of the stress you are under. So what comes next? 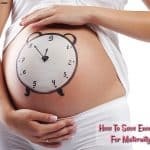 Have you left work voluntarily because there is a baby coming or family that you have to take care of? Whatever the reason, come up with a plan for how you will manage the bills and other obligations. Do you plan to be out of work for a few weeks? A few months? A few years? Have an idea in mind so that you can turn a short-term plan into a long-term plan. Have you been let go from your job and suddenly find yourself in this situation? It is time to figure out what comes next. While you are applying for jobs, is there anything that you can do to earn money? If there is potential for short-term babysitting or pet sitting, follow up on those options. 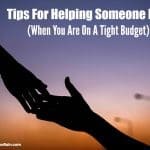 If you are handy around the house, see if there is anyone you know that needs some help. And if you have a savings put away for emergencies, this would be the time to dip into it for the household necessities. 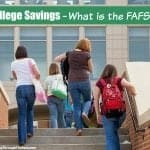 Are there things that your family does frequently that you can either do away with completely or find a cheaper way of doing? Making little changes will not only help your financial situation, but it will help you feel like you have more control. Instead of purchasing brand new clothes when someone hits a growth spurt, consider shopping at a gently used clothing store or a garage sale. Eating out a few times per week can really add up. When you are down one income or no income, you need to cut back as much as possible. Cooking doesn’t have to be difficult (get ideas in my Anyone Can Cook section!) and there are lots of ways to make your groceries stretch. 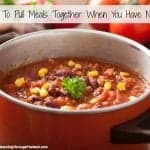 Read more about how to pull meals together with little income as well as how to reduce your grocery bill. Cable bills add up, so consider cutting the cable, Amazon Prime, Hulu and/or Netflix and head out to your local library to take advantage of checking out their media and books. Free activities are a true lifesaver when you’re trying to change your lifestyle. Try to change up your plans so that you are participating in more free activities and less expensive ones. The park and picnics are great options, but you can also do a Google search in your area for what is going on each week. It’s a great way to discover things you never would have done before! Let’s talk about living on one or no income for a period of time. Sometimes you find yourself in this situation quickly and unexpectedly. When this happens, paying attention to your budget is important and another excellent way to help yourself feel more in control. You can read more about household budget mistakes to avoid, but most importantly, know what is coming in and what is going out. Making sure that everything is transparent is your best way to know exactly where things stand. If you have lost an income unexpectedly, you may have a little extra time on your hands. If this is the case, take a few days to do a thorough cleaning of your home. This will help you mentally get things in order as well as the actual state of your environment. As you clean and sort through things, separate items into piles. Anything that you no longer use consider selling at a garage sale. If it is something that is worth a bit more (or is still brand new), see how much the items are selling for on eBay or LetGo. Besides actually cleaning your home, this is a great way to add a little extra income to the pot while you are in the process of finding a new job. One of the best things that you can do for yourself during this time is be honest. Be honest with yourself and be honest with your partner. If something happened at work to lead to this outcome, see if there was any way that you were accountable and figure out how to not let that happen again. If you feel that you need additional training or classes to get where you really want to be in a job, do some research as to how to make that happen. Don’t keep secrets from your partner. Secrets are the best way to start creating fractures in your relationship, so be transparent. Discuss your concerns, insecurities, and experiences with your partner, letting them discuss theirs with you. As strange as it seems, in the end, this could be a bonding experience for the two of you. 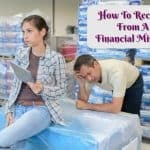 Dealing with the financial stress of losing an income can be hard, no doubt, but it can be worked through. Take it one day at a time, lean on your friends and family as you need to and keep moving forward. As they say, everything will all be alright in the end. If it is not alright, it is not yet the end.